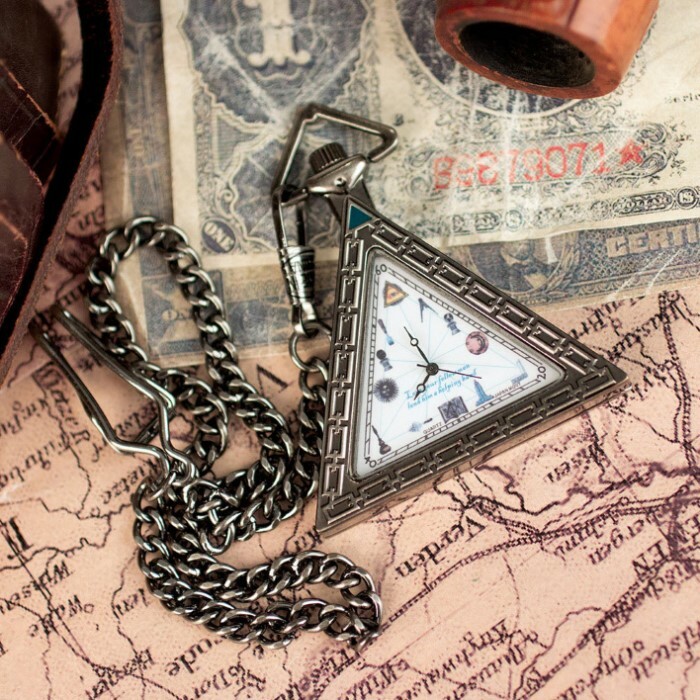 1920s Triangular Masonic Pocket Watch | BUDK.com - Knives & Swords At The Lowest Prices! 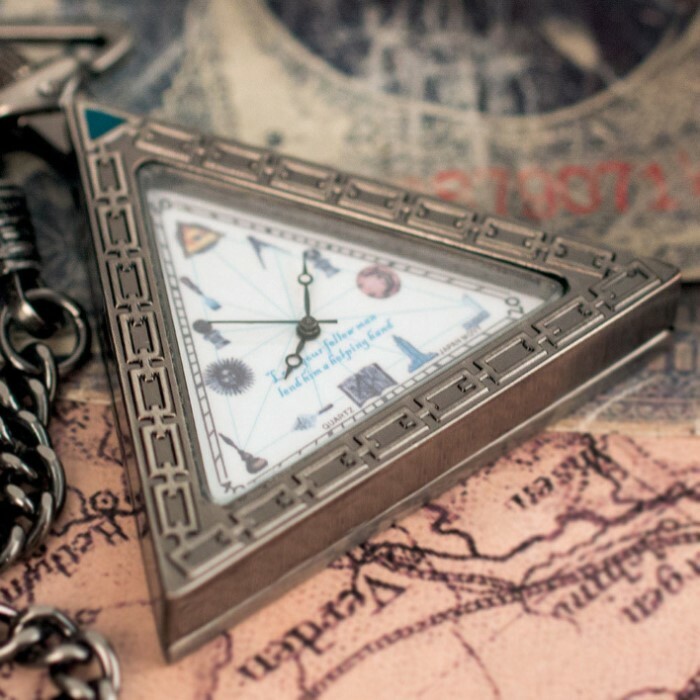 Measures 2 2/5 x 1 9/10" x 4/10"
This fine reproduction timepiece is a tribute to a rare 1920's era Swiss-made pocket watch designed to honor the Freemasons. The outer case is adorned with the unbroken chain of Brotherly Love and Affection symbol of the Freemasons. The face of the watch replaces the standard Roman numeral hour marks with symbols and imagery unique to the Rites of Freemasonry. This truly distinctive timepiece includes a coordinating gift box. A very nice conversation piece for all the lodge members to look at. Amazingly detailed. And very durable. Very clean looking pocket watch. Truly unique in its style. Works great and came very fast. Bought as a gift, they loved the detail and design. Came in a very nice presentation box. Will be looking to order one for myself. I gave this as a father's day gift to my Dad, and he loved it. Great detail and quality! Shipping time was good and packaging was really cool! 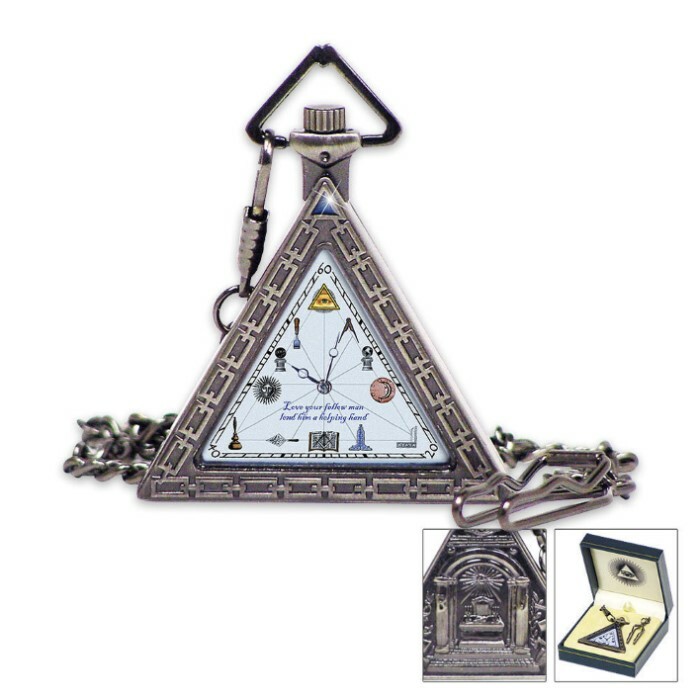 This is a great gift item for friends that are Masonic members. It has a classic style but can be used daily if desired. Bought two, one for me and one for my son. Great memonto for Masons. Always look forward to your catalogs.